However, pressed by the NCOW statistics extracted from the government’s own data, Dr. Shimabukuro of the Centers of Disease Control & Prevention (CDC) corroborated the NCOW data in a public presentation (slide 20) in Atlanta, Georgia, in October of 2010. This contradiction toDr.McCormick’s testimony evidences that the CDC indeed knew of the increasing level in fetal-loss reports, in near real time. Yet the CDC failed to immediately notify the nation’s Ob/Gyns, who, uninformed, continued to double-dose their pregnant patients with the fetal-fatal flu shots that collectively delivered up to 50 micrograms of mercury. Due to the success of this well-orchestrated cover up and the complicity of the non-profits and AJOG, pregnant women are now pressured to get 4 vaccine doses, (Flu, TDaP) and thereafter are mandated to give up to 49 vaccine doses to their surviving children in order for them to attend school. 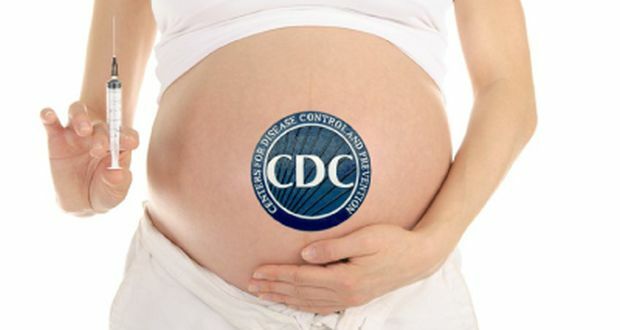 A joint letter orchestrated by the CDC and co-signed by 9 non-profit organizations was sent in the fall of 2010, specifically targeting the nation’s Ob/Gyns who, upon the recommendation of the CDC, had been injecting their pregnant patients with two separate influenza vaccines, the seasonal and the H1N1 vaccine, each containing 25 mcgs of mercury, totaling 50 mcgs of mercury, regardless of the trimester or the weight of the fetus. The letter, strategically omitting reference to the 2009/10VAERS data or Thimerosal, recommended only one seasonal flu shot for the following year, which as a trivalent, has all the necessary strains in one vaccine thereby limiting the toxic mercury dose to 25 mcgs instead of the fetus-fatal 50 mcgs. If 50 mcgs. kills a fetus, will 25 mcgs be enough to harm the survivors? Where is the science? - To Vaccinate or Not?